I am back to my real estate blog with a very important tip which may make the difference when you are embarking a quest to buy your dream home in Silicon Valley. In the midst of the current sellers’ market where the number of properties for sale is far too low to satisfy the existing home demand, competition is raging and multiple offers over asking price have become the norm. The main concern from every home buyer is: How do you beat the competition and get into contract? The answer to that question is always the same: be patient, be persistent and be smart. While you have to be patient and persistent, I can help with the latter one. Let us take the average home buyer in Silicon Valley, with a budget of $600K and who wants to buy a 3 bed/ 2 bath, move-in ready or at least livable immediately because he/she cannot afford to pay the rent and pay the mortgage at the same time. Your favorite Realtor has written several offers but was outbid every time. Most likely, the offers were either too low or too high and a conscientious seller’s agent got scared that it would not appraise. In other words, the appraiser sent by your bank might consider that the property is not worth the price you are willing to pay for it. 1. If your offer comes in too low, this means that you probably would be better off looking for a smaller place in your areas of interest or searching for a house of the same size in less expensive areas. 2. If your offer is too high, your real estate agent failed to “sell your offer “ to the listing agent. In other words, he/she was not able to show and/or convince the listing agent that you have enough money to close the deal. Whatever the case may be, you end up frustrated and overwhelmed without knowing what to do. Here is a possible alternative: If you are up to the challenge of living in a house that needs to be upgraded and/or rehabilitated as long as it is located in an area you like, a construction/rehabilitation loan is an option you might want to consider. 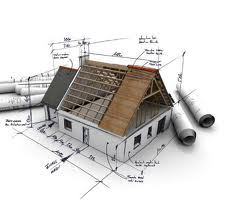 A construction/rehabilitation loan is a tool to finance the rehab or repair in a home. Typically only interest is paid during the rehab period. The funds are advanced incrementally during the construction process. Once the certificate of occupancy is issued, the outstanding balance of the loan will amortize over the remaining term of the loan. Construction/rehabilitation loans already exist for FHA home buyers: They are called 203K FHA loans. These loans are backed by FHA and follow the general FHA guidelines for upfront fees and monthly insurance. If the size of your project size is larger than the FHA loan limits or you need more flexibility with rates or terms, you should be aware that a number of lenders are able to offer conventional construction/rehabilitation mortgages such as UMPQUA Bank. Is a construction/rehabilitation loan the right trick to help get into contract? Only your loan officer can give you the answer. But as far as I am concerned it is definitely worth a shot.